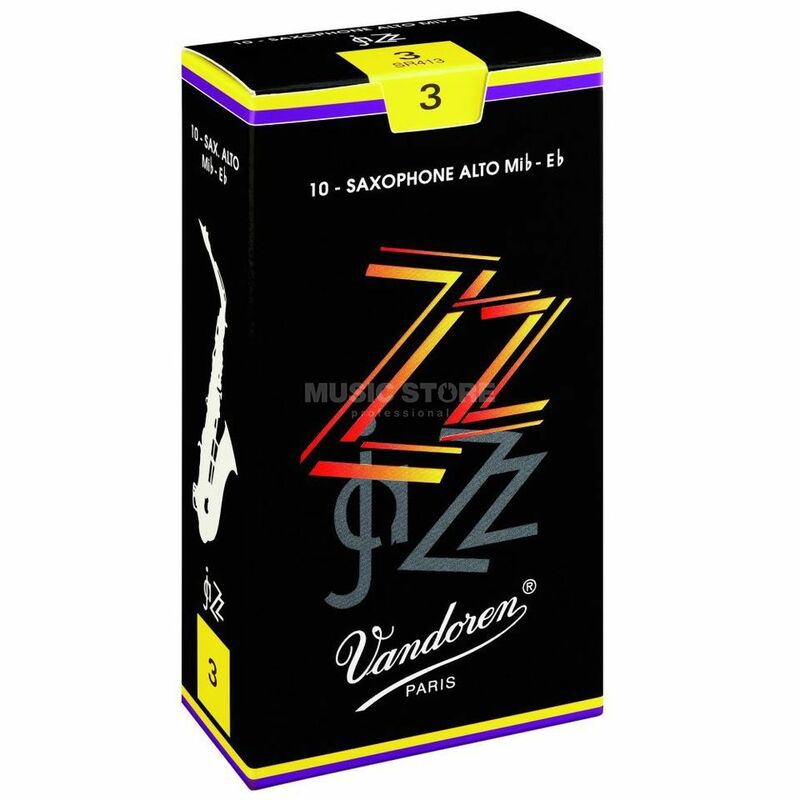 The Vandoren ZZ Alto Saxophone Reeds is a box of 10 jazz reeds for Eb-Alto Saxophones. They respond immediately with no sacrifice in the brightness and tone needed for jazz music. A unique bond between the medium-thick heart and rounded tip delivers remarkable tonal colour, response and give them a durable life. A new created cut give the ZZ Reeds a very direct attack point.